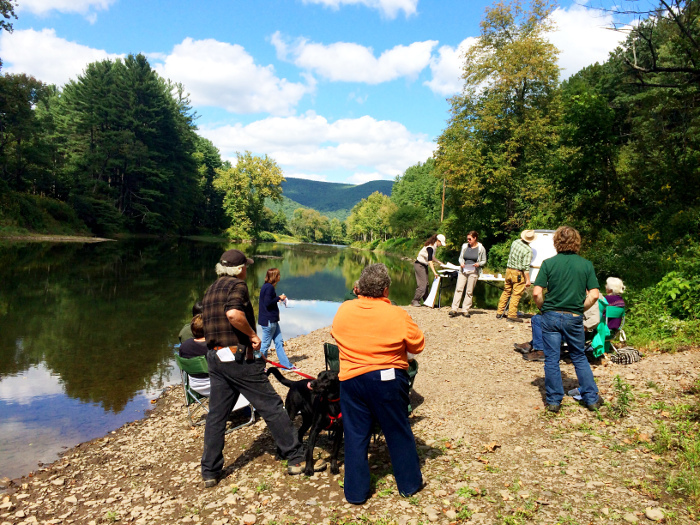 Walking Forum participants gather for a presentation and discussion down by the waters of the Pine Creek near Darling Run Trail Head of the Pine Creek Rail Trail, Wellsboro, PA.
Mission: The Tioga County Countryside Council is a citizen’s organization, with a full diversity of interests. Our goal is to bridge and cross existing political, social and economic boundaries. 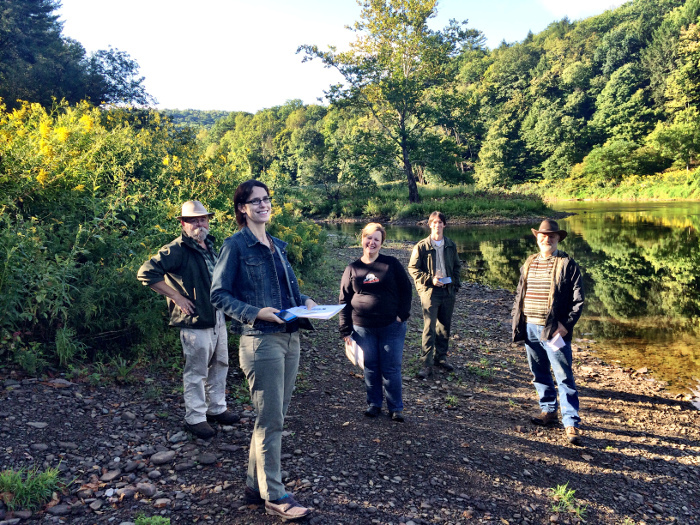 Our major function will be to facilitate countywide communications, planning and visioning, and cooperative action throughout Tioga County.